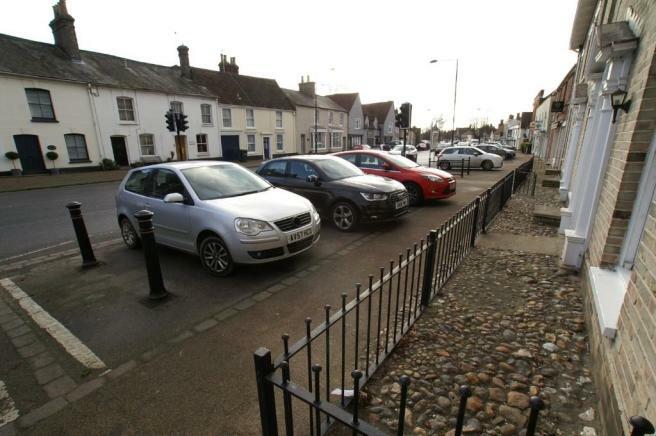 Long Melford is an historic thriving village in one of the most desirable places to live in Suffolk. Indeed, it has ranked one of the top ten villages to live in England. It has a wealth of period houses and cottages of all ages and types running along its main street, which is the longest in England. There are a wealth of shops including two supermarkets, a bakery, renowned butchers, post office and pharmacy, together with many specialist shops and galleries. There is a successful primary school, doctor's surgery, village hall and clubs for cricket and football, all within easy walking distance of this property. At the northern end of the village are historic Melford and Kentwell Halls and the magnificent parish church overlooking the famous greens. There are numerous public houses and restaurants, again, all within walking distance. List House is believed to date from the 14th/15th century, but today is largely Georgian in appearance and style. The front elevation is constructed of traditional Suffolk white bricks under a slate roof, with red brick to the side and there are two handsome door cases to the front and double hung sash windows all around. There is unrestricted on-street parking outside. The interior of the flat has large and bright rooms, the sitting room being at the front, getting wonderful morning and midday sun, and looking out at period cottages opposite. 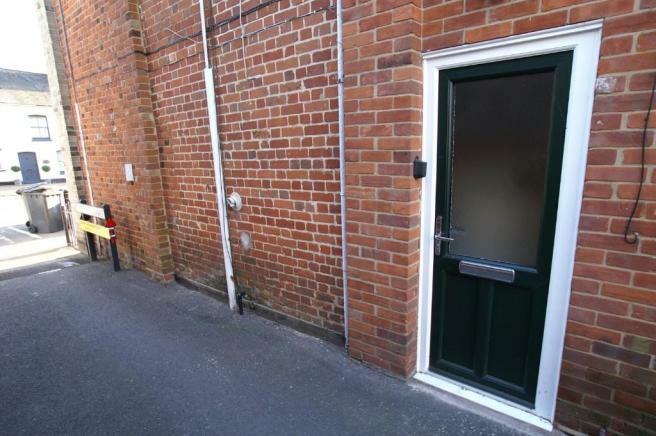 There is a private entrance door and staircase and an exceptionally large landing. Heating is currently by a mixture of night storage heaters and modern programmable electric radiators but gas is laid on to the flat, presently supplying the sitting room fire, but enabling central heating to be installed if desired. Fitted carpets throughout are included and the flat is in good decorative order with curtains and blinds and is ready for immediate occupation. Private Entrance Hall 8'6" x 4' (2.6m x 1.2m) maximum. With a new uPVC panelled and glazed entrance door, Dimplex night storage heater, coat hanging hooks/space, and a wide straight staircase up to the first floor (Stannah stairlift previously fitted). T Shaped Landing 27' x 17' (8.2m x 5.2m) With stairs leading up from the first floor, gallery rail overlooking the stairwell, large historic multi-glazed window to the side and multi-glazed sash window to the front overlooking Hall Street. Three remote control/programmable modern electric radiators, cupboards housing gas meter and electricity meter/switch gear, airing cupboard with hot water cylinder and emersion heater, loft hatch and door to all the rooms. Sitting/Dining Room 15'3" x 14'6" (4.6m x 4.4m) A bright room at the front of the building facing East with two large multi-glazed sash windows overlooking Hall Street with period cottages opposite. 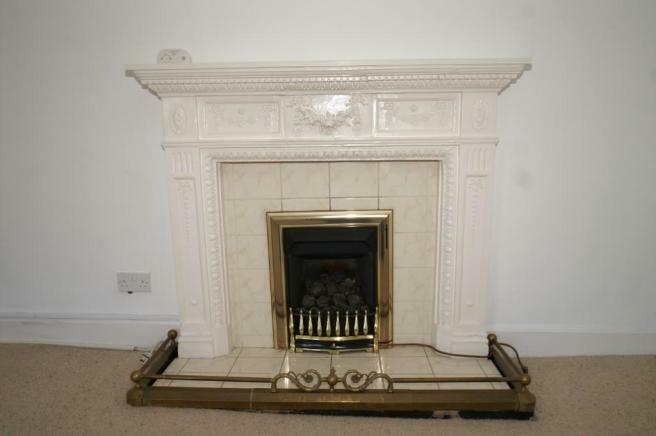 Splendid Adam style fireplace with tiled inset and hearth and fitted gas/coal effect living flame fire. Dimplex night storage heater, three wall lights. Kitchen 9'6" x 8'6" (2.9m x 2.6m) At the rear of the flat with west facing views out over gardens and countryside in the distance. Fitted with a good range of white woodgrain wall and base units on three sides with satin stainless steel handles and speckled granite effect laminate working surfaces with kick backs and white tiled splashbacks. Well equipped with 2 ½ bowl stainless steel sink, Proline black 4 ring ceramic hob with filter hood above and stainless steel electric fan oven below. Spaces for washing machine and full height fridge/freezer. Woodgrain vinyl flooring, triple ceiling spotlight. Bathroom 8' x 5'6" (2.4m x 1.7m) Matching white suite comprising cast iron bath with electric shower above, pedestal hand basin and close coupled w.c. Walls half tiled in cream, wall mounted fan heater, skylight, woodgrain vinyl flooring. Bedroom 1 11'3" x 11'3" (3.4m x 3.4m) With a large multi-glazed sash window to the front facing East with views as for the sitting room, night storage heater. Bedroom 2 11'9" x 9'3" (3.6m x 2.8m) With casement window to the side, night storage heater. SERVICES We are advised that mains water, electricity, drainage, gas and telephone are connected, although we have not made enquiries to confirm. Electricity and gas meters both on the landing, potential therefore for install gas fired central heating. Night storage heaters, modern programmable radiators and gas living flame fire. Please note we have not carried out a survey, nor tested the plumbing, heating, electrical and drainage systems. House purchasers are always advised to have a survey. FREEHOLD AND THE LEASE The property is held on a 999 year lease at a fixed ground rent of £5 per annum. The freehold is now owned by the residents and the purchaser will become a shareholder in the freehold company. The residents meet regularly and arrange their own maintenance and employ Block Management just to provide the accounts, arrange building insurance etc. This arrangement has the great advantage of enabling the residents to keep maintenance costs under control and to a minimum. Immediate vacant possession available with no upward chain. SOFT FURNISHINGS AND FIXTURES Fitted carpets throughout included. Blinds, curtain poles/rails and some curtains also included, as seen. Full list provided with formal contracts. VIEWING AND DIRECTIONS Viewing by appointment please through the vendor's agents, as above. 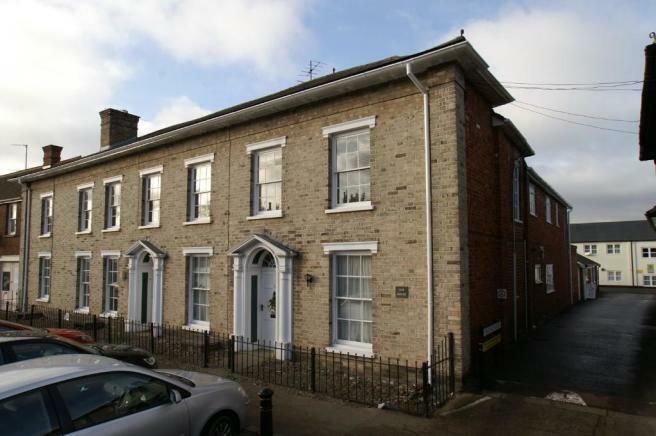 List House is easily found right in the centre of Long Melford around 20 yards along from the post office and pharmacy on the same side. Disclaimer - Property reference S12196. The information displayed about this property comprises a property advertisement. Rightmove.co.uk makes no warranty as to the accuracy or completeness of the advertisement or any linked or associated information, and Rightmove has no control over the content. This property advertisement does not constitute property particulars. The information is provided and maintained by Sworders, Sudbury. Please contact the selling agent or developer directly to obtain any information which may be available under the terms of The Energy Performance of Buildings (Certificates and Inspections) (England and Wales) Regulations 2007 or the Home Report if in relation to a residential property in Scotland.